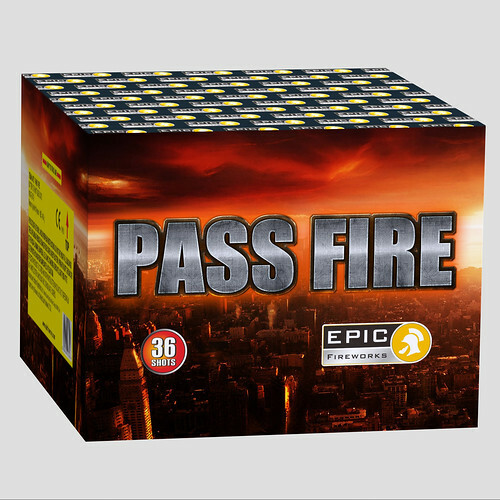 The Pass Fire 36 shot cake by Epic Fireworks. 36 large and powerful coloured bursts - this is a brilliant barrage and will look good in any display. Perfect for those who have a smaller garden. This is one awesome firework 36 shot of total madness. Would be a great barrage for a filler or a final. Huge bursts and great sounds. Great job epic once again! !